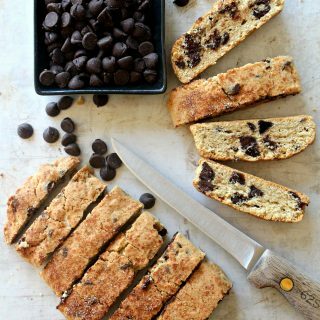 Mocha White Chocolate Biscotti are like a coffee shop drink order, but crunchy. 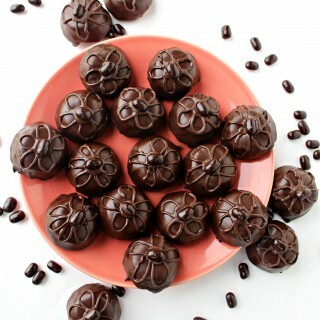 The chocolate-espresso dough is studded with white chocolate chunks, then dipped in dark chocolate and festively sprinkled. Mocha White Chocolate Biscotti are the second biscotti recipe for The Monday Box week of Time Saver Recipes. 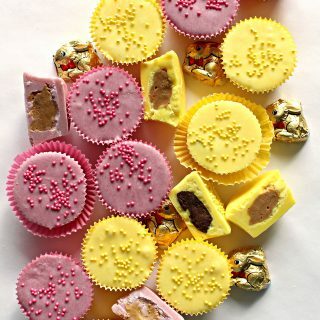 All of the recipes this week are quick and easy, using cake mix or refrigerated cookie dough as a shortcut ingredient. The previous biscotti recipe, for Cinnamon Chip Biscotti, uses cake mix. Mocha White Chocolate Biscotti uses a roll of refrigerated sugar cookie dough. Biscotti are Italian cookies that are twice baked for extra crunchiness. They were originally created as a dipping cookie, so the biscotti texture was very hard. Mocha White Chocolate Biscotti are very crunchy, but they aren’t hard. They will hold up to dipping, but can be happily munched on with no dipping at all. Are you a dipper? I have found that people are either dippers or non-dippers. Dippers are inclined to dunk all kinds of baked goods into their beverage. Chocolate chip cookies get dipped in milk. Biscuits are dipped in tea. I have a friend who dips saltines in Diet Coke. I, however, am a non-dipper. I don’t mind cookie crumbs on my plate, but I can’t stand cookie crumbs in my tea or coffee. Luckily, Mocha White Chocolate Biscotti are delicious regardless of your dipping preference. 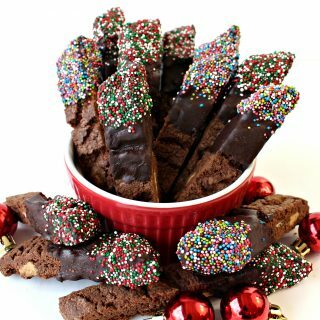 Mocha White Chocolate Biscotti are an easy, stress-free solution to the holiday gift list, a welcome addition to any care package, and a delicious treat to enjoy with (or in) your beverage of choice! Don’t miss the other Time Saver Recipes in this series. Chocolate Covered Cherry Bars, Cinnamon Chip Biscotti, Gingerbread Spice Cookies, and Butterscotch Blondie Bars are not to be missed! Check back tomorrow for the next Time Saver Recipe! In the bowl of an electric mixer, stir together the espresso powder and vanilla with a spoon. Add the cookie dough, flour, and cocoa powder and mix until combined. Mix in the white chocolate chunks. Divide the dough in half and place on prepared baking sheet. Form two 12” x 2” loaves, each about ¾” thick. Space the loaves at least 3” apart to allow for spreading while baking. Bake for 24-26 minutes until the dough is firm and springs back to the touch. Remove from the oven, but leave the oven on. Allow the loaves to cool for about 10 minutes on the baking sheet. Spread out the slices slightly on the baking sheet (standing up), and return to the oven for 10 minutes. Remove from the oven and cool completely on wire racks. To decorate: Line a baking sheet with wax paper. Melt the chocolate in a small bowl at 50% power for 1 minute. Stir. If not completely melted, return to the microwave for 10 second intervals at 50% power, stirring between heating intervals. Dip the end of the biscotti in the melted chocolate. Sprinkle on the nonpareils over a bowl. Place the completed biscotti on the prepared baking sheet. 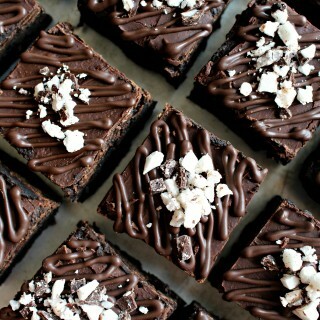 Refrigerate for 5-10 minutes until the chocolate is set. Store at room temperature in an airtight container for up to 3 weeks. 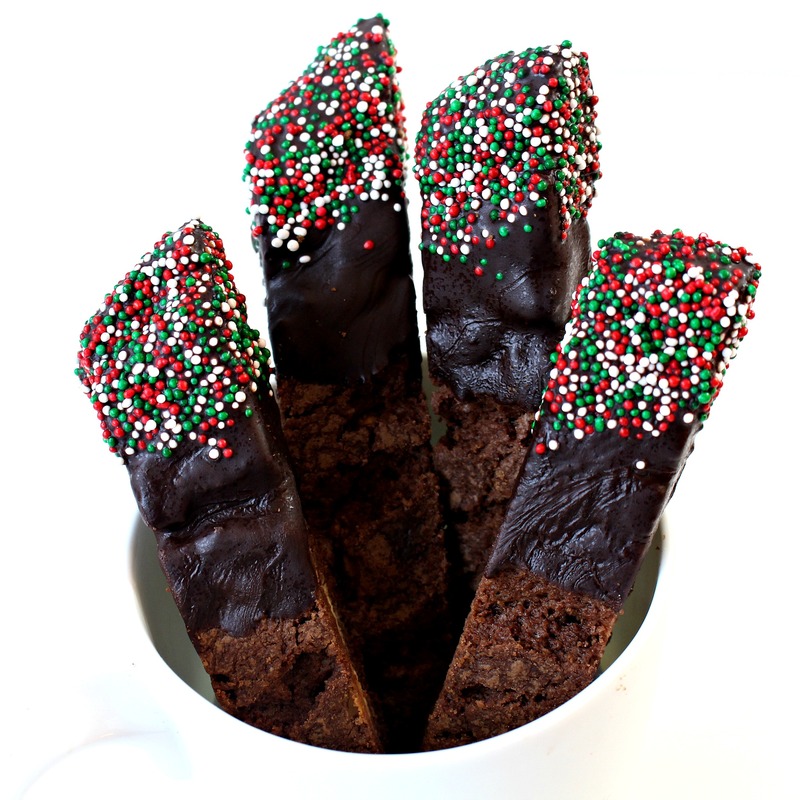 Wrap pairs of biscotti in plastic wrap. 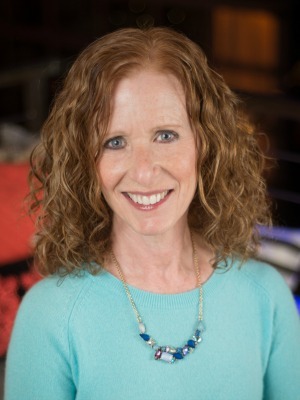 Place wrapped bundles snugly in an airtight container or freezer weight ziplock bag. These time saver recipes are such a smart idea! 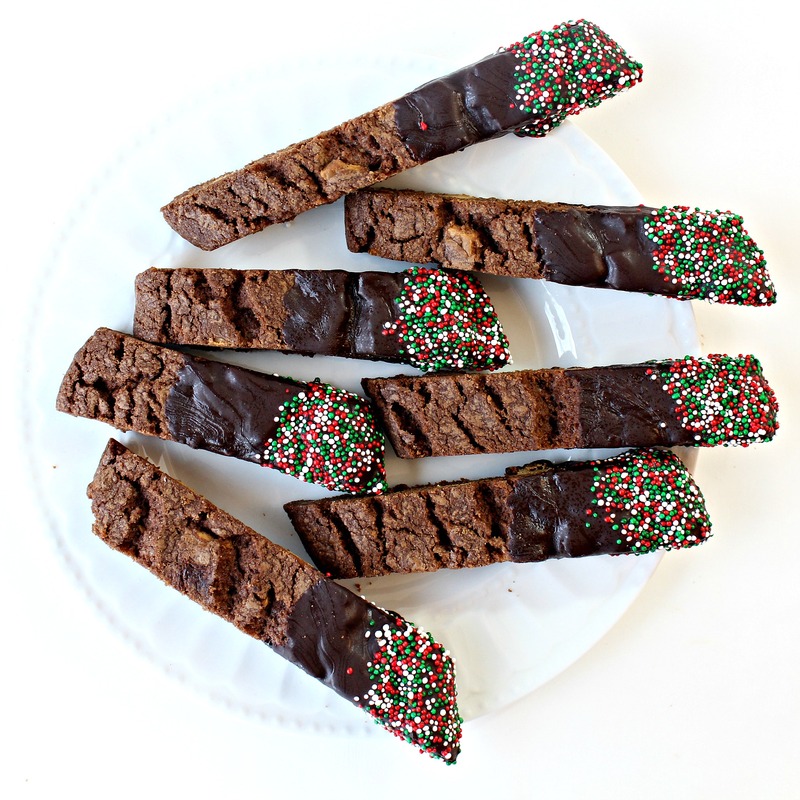 I just made a batch of gingerbread biscotti recently so I am all the way with you on the biscotti love. 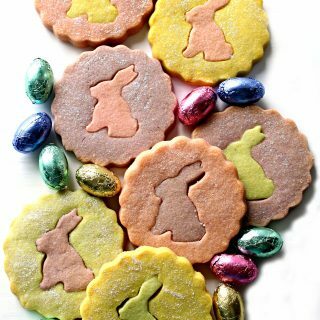 This sounds very tasty and so creative using sugar cookie dough. I especially love the chocolate and sprinkle dip, too. And I’m with you in not being a dipper either. Thanks, Monica! 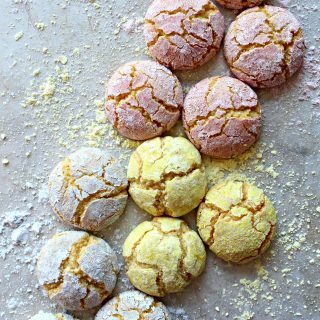 Hopefully, a few shortcut recipes can help with holiday stress! I saw your gingerbread (and minus the nuts for me) it looks sooo good! 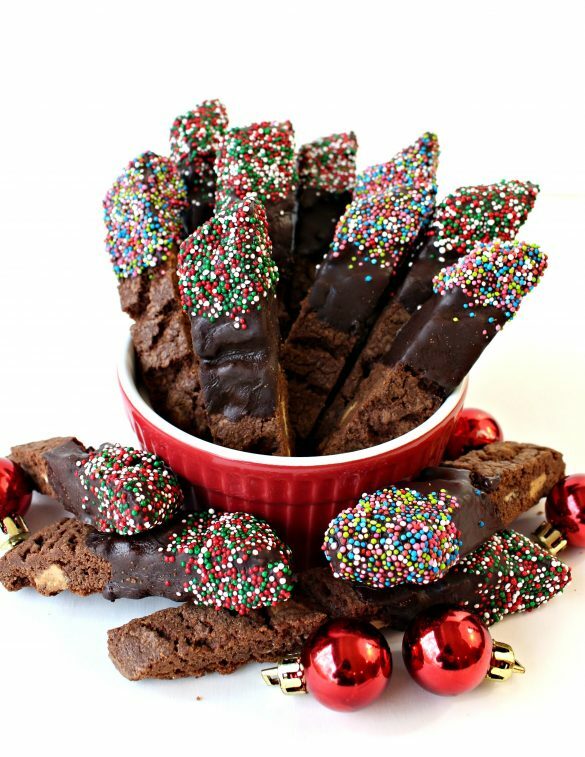 I love gingerbread and I love biscotti, so your recipe is perfect for me! I am surprised that you aren’t a dipper because I know you prefer really hard biscotti. You must love the crunch! These are so pretty Wendy. I want to grab a cup of coffee or tea and sit with a few of these. Thanks, Chris! 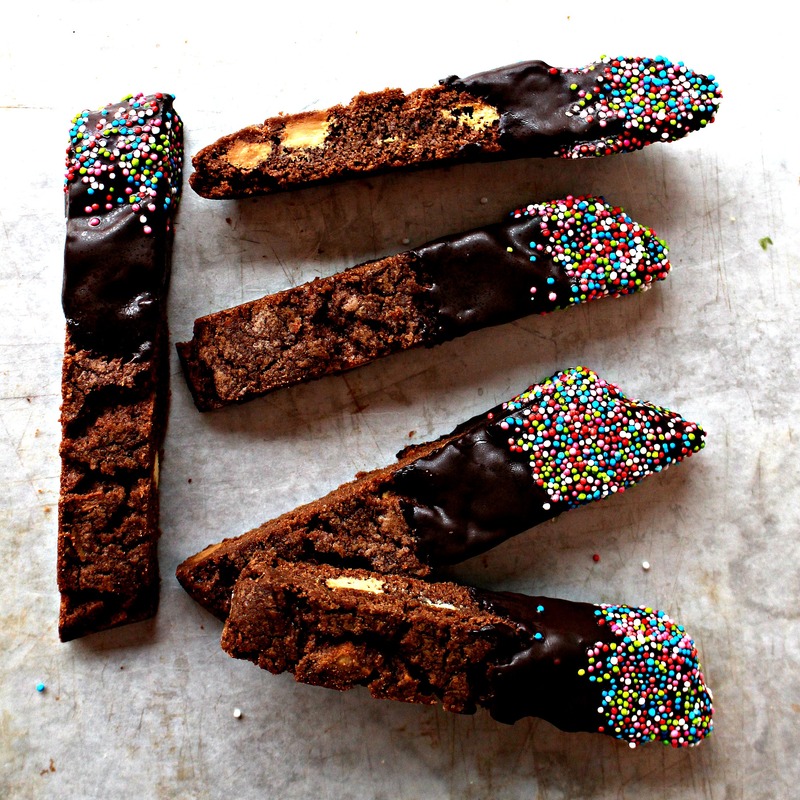 Biscotti make a coffee break or tea time special! haha I am definitely a dipper in coffee or tea! ESPECIALLY biscotti! I love this flavor and you can’t beat how simple it is!